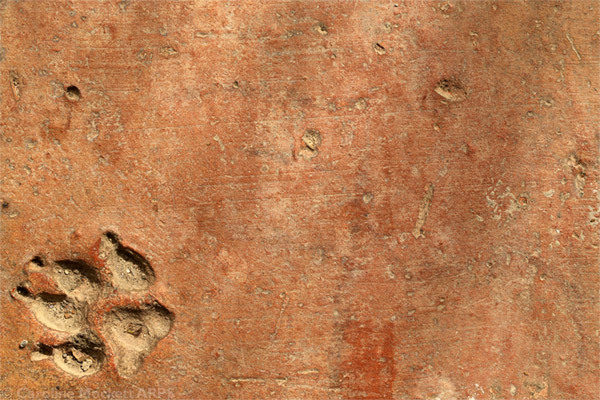 Notes: I first spotted this pawprint in one of the patio tiles on my first evening at the Villa, but it was in deep shadow and I decided to investigate it again when the sun shone on it. Today, although I was feeling quite poorly, I managed to potter around the garden for half an hour or so during the morning. Ken had given the others the photographic assignment of “breaking the rules” today, so I made a few pictures which fitted the bill too. I also thought it would be great for Treasure Hunt Theme #75 – Less Is More.